David and Juanita Schulze just posted this Raw unedited footage of a cargo train colliding with a semi that was stuck on the tracks. The footage was uploaded to the Schulze’s youtube channel David’s Garden Seeds And Products on October 5, 2014. The crash took place in Mer Rouge, Louisiana. According to local media, there were no fatalities. 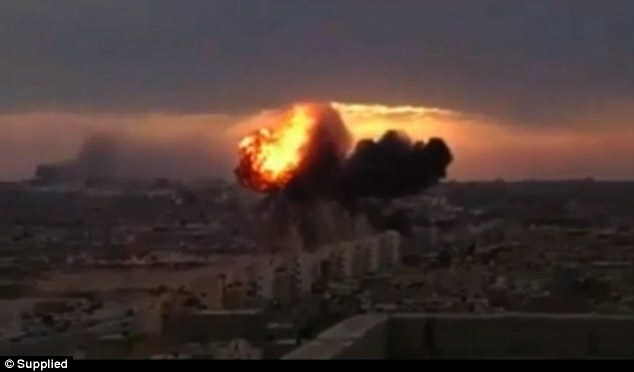 This is extremely graphic footage of a military jet that crashed into a residential area in the city of Tobruk, Libya. It is believed that the pilot lost control of the jet due to a technical malfunction. This footage was captured from the roof of a building in Tobruk. The videographer noticed the jet flying at a low altitude with smoke coming out of one of the engines. Some believe that the jet was shot down. The jet crashed into an apartment complex killing atleast 3 people, including a small child. The footage was uploaded to youtube on September 2, 2014. Mobileye came in Large on the New York Stock Exchange on friday morning opening up at $36 a share. Mobileye opened $11 dollars higher than it’s original calculated share price of $25. They reached a high of 39.40. The end of day closing price was $37.00. Mobileye for most that don’t know is an advanced technology company that develops vision-based Advanced Driver Assistance Systems for automobiles etc. This technology offers advanced Visual and auditory warnings of impending collisions. 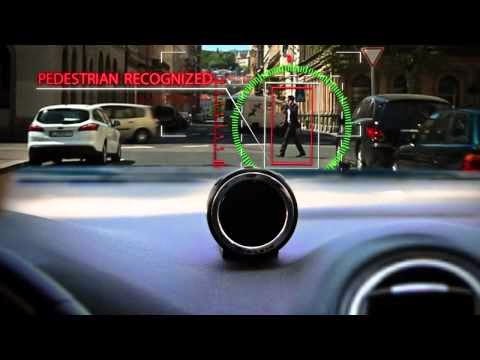 (1) The 1st video describes in more detail about who Mobileye is, and what they actually do. (2) The 2nd is a video of a 2014 Tesla model S equipped with the Mobileye collision aviodance system. (3) The 3rd video is what bloomberg had to say about Mobileye’s IPO opening on friday. Watch this AMAZING display of respect in the Netherlands as a convoy of hearses carry the victims of Malaysia Airlines Flight MH17 to a near by forensic institute in the Netherlands. Thousands of onlookers showed up at the side of the road to show their respect. The victims bodies of Malaysia Airlines Flight Nh17 arrived today in the Netherlands. Two military transport planes landed at the air base in the city of Eindhoven, Netherlands. the bodies were taken by refrigerated rail earlier this week to Kharkiv. They where then flown out of Ukraine by two military transport aircraft. There two military transport planes were Dutch and Australian. Tom Balmforth of Russian State Televison asked Moscow residents what they knew from Russian media reports about the July 17 crash of Malaysian Airlines flight MH17 in eastern Ukraine. Some of the respondents blamed the Ukrainian government, while others blamed the United States for the apparent downing of the passenger airplane. Others dismissed Russian television as an unreliable source of information and said anti government rebels in eastern Ukraine were responsible for the plane crash. Here is footage of a team of International monitors today that were called int to inspect the Malaysia Airlines Mh17 passangers bodies. The bodies were placed in refrigerated rail cars in the Ukrainian town of Torez.